We serve any organization that manages mission trips and we also serve those that have data entry people entering connect/communication cards or offering/donation envelopes manually. $20 Per active mission trip for Missions. 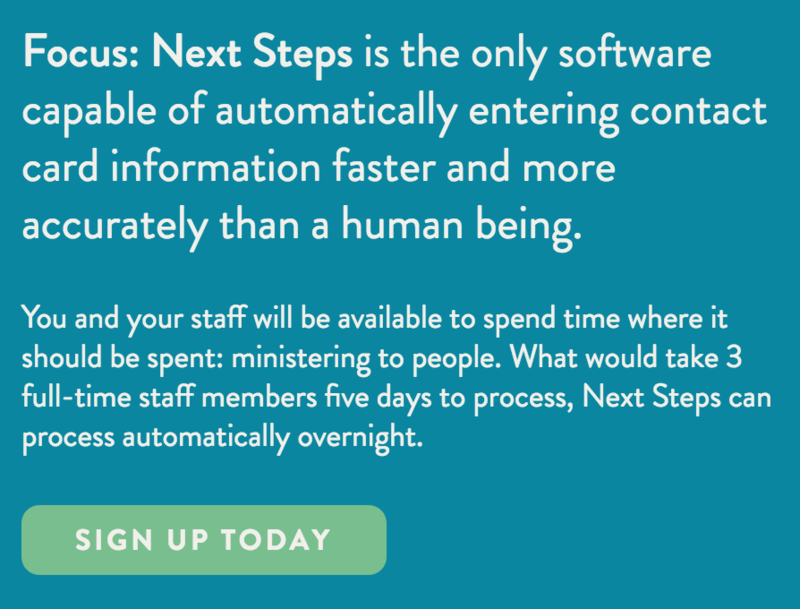 $30 minimum for NextSteps. 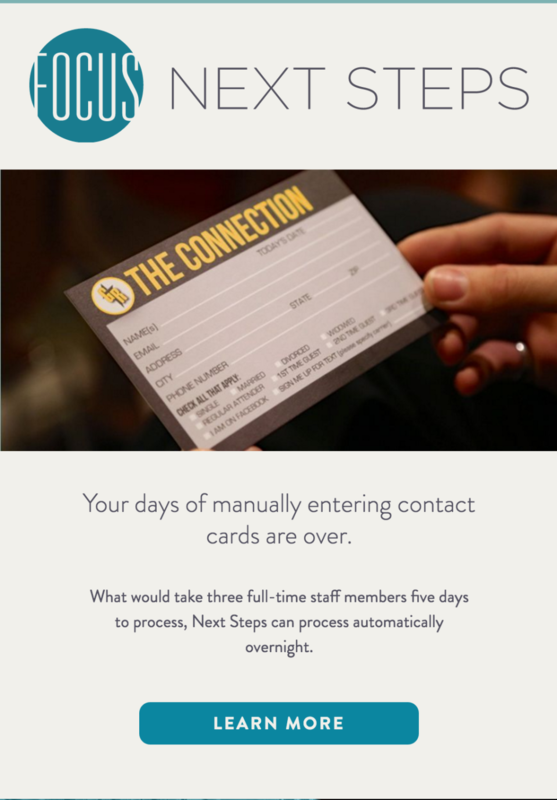 NextSteps can read and export data from contact/communication cards directly into your ChMs. 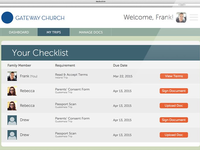 Missions is a fully integrated missions management software for Churches. 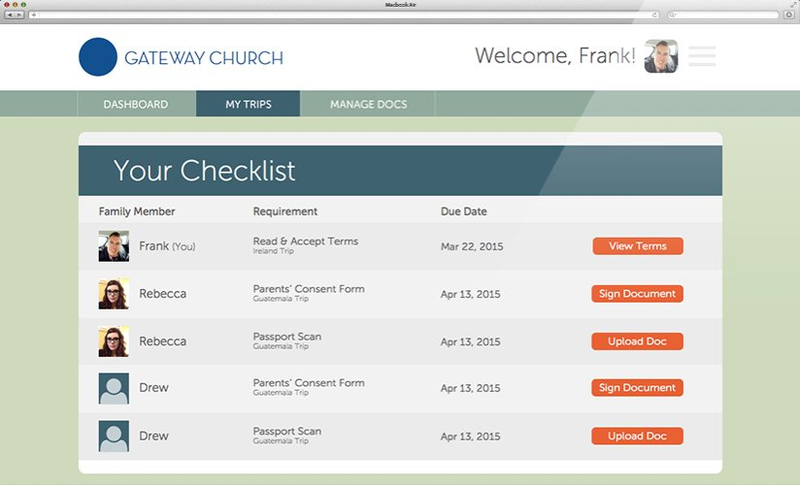 Manage trips and participants with ease with our Missions Software. 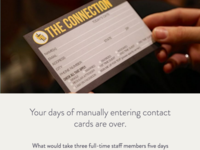 Manual data entry of cards and offering/donations envelopes are a thing of the past. 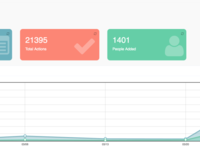 Come see why churches are loving our software and and connecting with their members and community like never before. Focus Ministry Reviews Recently Reviewed! Pros: Currently, Focus Missions is used for everything missions based at our church. We are a church who uses the motto, "Life Life on Mission" and we constantly send trips and missionaries out. This is one of the most organized, easily manageable and team-oriented software that we've ever used as a church. We don't just use it for missions, but we also use it for camp attendances for our youth departments. It does an incredible job of handling finances per team, making it easy to fundraise, and being able to record necessary forms for each trip. Cons: So far we have nothing negative to say about this software. 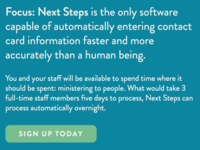 It does what you expect it will do as a missional based software. Pros: We receive many contact cards each week. there is just not enough time in my schedule to manually input each one by myself...and there are critical areas needing attention from my volunteers. Thanks to Focus Min. we are able to do much more multitasking. All we needed was our smart phone & the entire process has been automated. Cons: verifying contact information can be a slow process (especially for illegible entries) but this is minimal compared to the time it takes to enter all the Info. manually. Comments: I have great customer service in situations that needed quick turn around times. There has been good follow-up and development when we had needs that were not represented in the software. Sometimes, I feel like the process of importing the data from Focus to CCB can be too slow but I am learning to be patient because it is likely that the data is difficult to read and process. I am finding that I do not use it every week because if I only have a few cards, it's easier to just do it and not wait for the processing and exporting. Thank you for your kind words and trusting us with your members information getting into your ChMs. We look forward to a great relationship. Comments: This software is great. I have been able to reduce the time I spend entering card data and use that time to focus on other projects. In fact, I am now able to track more detailed data because of the reporting offered with this software. Any issues or concerns I have are addressed very quickly with updates provided continually. The customer service offered really makes us feel like we are more than just another customer. Thank you for your kind words and trusting us with your members information getting into your ChMs. We look forward to a great relationship and yes you are more to us than a customer. Comments: This is such a great tool for administrative use. I have used it on several occasions and love the accuracy with which it can read people's handwriting! It saves from having to verify hundreds of cards each time. But, I am glad there is still the option . It's a wonderful tool that saves you time and money so that you can focus on what needs to be done.